Rev. Michael E. Karunas has been senior minister at Central Christian since March 2012. Prior to beginning his tenure here, he served First Christian Church, Baton Rouge, La. (2004-2012), and First Christian Church, Centralia, Ill. (1998-2004), both in the capacity of senior minister. Originally from Ann Arbor, Mich., Michael received his AB from Butler University (1991) and his Master of Divinity from the University of Chic.ago (1998). He has been an active participant in the wider church, having served as a Global Mission Intern with the Division of Overseas Ministries of the Christian Church (Disciples of Christ) in East Germany (1991-1993) and on the Week of Compassion Advisory Committee of the Christian Church (Disciples of Christ) (2006-2010). 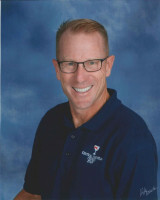 Michael is an avid distance runner, having logged nearly 20,000 miles over a 15 year running career. He enjoys singing and playing the trumpet, reading (mostly non-fiction, with a preference for history, philosophy and religion), and has memorized and performed the Gospel of Mark as a one-man show. Michael blogs regularly at TBA. He is married to Amy Ziettlow, an ordained minister in the Evangelical Lutheran Church, writer and researcher. They have three children and enjoy spending time as a family, particularly spending summer vacations at the family cabin in Northern Michigan. 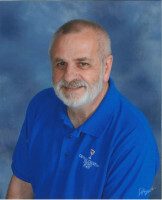 Don Martin has served Central Christian Church since February 1998. He holds a Master of Arts degree from Christian Theological Seminary (1985), Certificate in Theological Studies from Associated Mennonite Biblical Seminaries (1980), a Bachelor of Arts in Choral Conducting and Voice from Goshen College (1977), and also studied at Saratoga-Potsdam Choral Institute, State University of New York. In 2003 he completed additional studies and was licensed for ministry by the Christian Church (Disciples of Christ) in Illinois and Wisconsin. 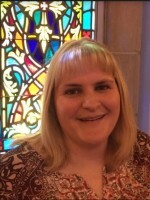 Tina Miller joined Central Christian Church as the Associate Minister of Christian Education and Family Life in August of 2015. Tina lives in Decatur with her husband, Dennis [and their two cats, Rose and Franklin]. In her spare time, Tina enjoys traveling to the Smokey Mountains with her family each year, watching her daughter perform, reading, studying, and coffee with friends. Tina holds a Bachelor of Arts in Ministry and a Master of Arts in Ministry/Leadership Studies from Lincoln Christian University, Seminary. After completing her studies, Tina served at Argenta Presbyterian Church as Director of Programs and Outreach. 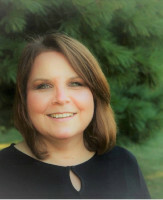 With considerable experience in women’s ministries and program design and development, she has assisted several churches and other ministries in growth and transformation, organizational change, and church relocation. Tina endeavors to deliver hope through relationships by meeting and engaging others where they are, right here and now. Her primary ministry initiative at Central Christian Church is to nurture and assist people in their journey toward relationship with God and with one another. And our other great staff!